Teutoburger Wald, Battle of, Germany, 9 A.D. In A.D. 9, the Roman nobleman Publius Varus led three entire legions - 20,000 men - east of the Rhine to subdue a rebellion. 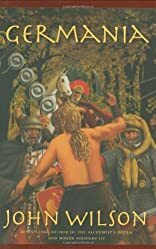 The Teutonic forests, and the barbarian warriors they concealed, utterly destroyed the Roman army, leaving only a few desperate, ragged survivors to return to their ordered world of roads, towns, and open fields. Fast-forward to A.D. 79. An old man, Lucius Quintus Claudianus, has been abandoned in a villa outside Herculaneum. As the eruption of Vesuvius builds to its devastating climax, Lucius writes the story of his life - including the strange part he played 70 years earlier when the Roman legions, who considered themselves invincible, were caught and massacred. 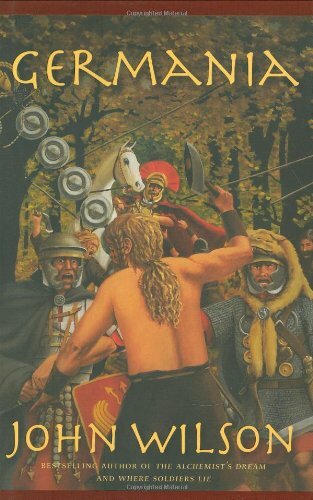 In Germania John Wilson tells the extraordinary story of the Battle of Teutoburg forest, the forces that preceded it, the vivid cast of characters (including Varus and the ruthless barbarian leader Arminius), and the terrible aftermath that saw the ascension of the barbarians, the decline of the Romans, and seven grim years of war. Wilson brings the wrenching immediacy of war to modern readers in this striking, colorful novel.